July 30, 2018- Cayuga County, Finger Lakes, NY – As of Sunday, the Finger Lakes was in first place in the USA Today 10Best Reader’s Choice poll to decide over the next three weeks the country’s best wine region. The top-20 nominees were chosen by a group that included a panel of experts on wine, with the winners determined by online voting. The public may vote once a day until noon on August 20. 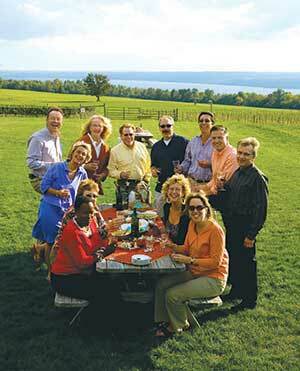 The national poll is focusing on many facets of wine travel, and the Finger Lakes has at least one nominee in all of the categories -best winery restaurant, best winery tasting room, best wine country hotel, and best wine festival. Other contenders for the best wine region include Napa Valley, California, Willamette Valley, Oregon and Walla Walla Valley, Washington.